Morley Roberts (1857-1942) was an adventurer who worked on railways and cattle and sheep ranches all over Africa and the Americas and still found time to write a large number of very varied novels and stories with a zest that only real-life experience can give. 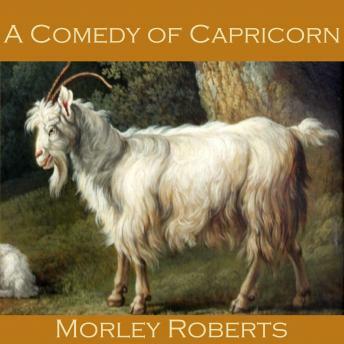 'A Comedy of Capricorn' is a humorous romantic tale. When Gwendolen invites the supremely eligible animal lover Lord Bampton to meet her parents so that he can ask permission to court her, she warns her family of the visitor's fondness for pets. Even the butler is warned to allow any strange or exotic animal which might accompany his Lordship into the drawing room without batting an eyelid. So when a stray goat turns up by chance at the same time as Lord Bampton, chaos, confusion and hilarity are predestined.